PPA makes it easier to install apps that are not included in the Software Center. When you start using Ubuntu and its derivatives including elementary OS, Linux Mint, etc., you should have come across the abbreviation “PPA”. It is used in the context of adding and removing applications. PPA is the short-form for “Personal Page Archive”. 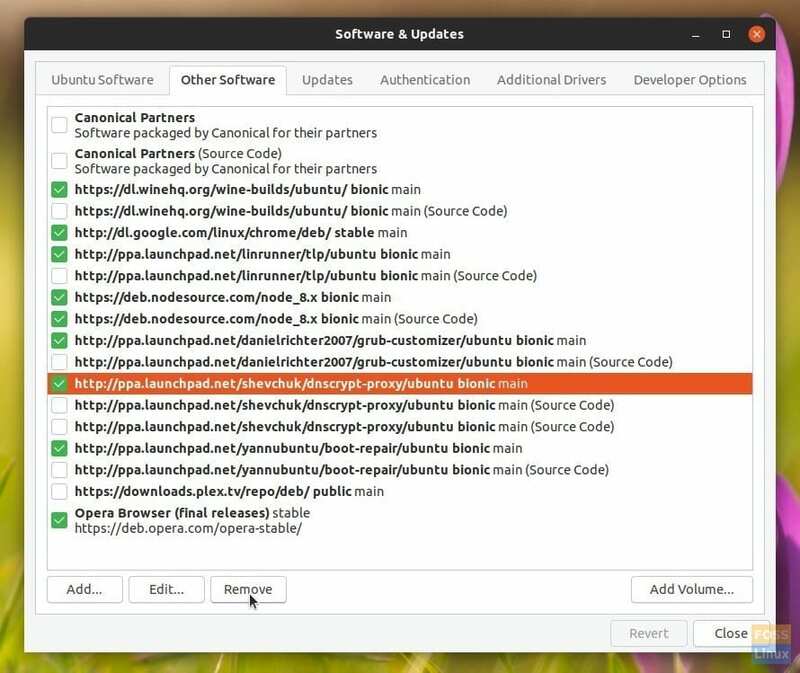 It is a webpage that has a collection of the instructions for installing an application that is typically not included in the Ubuntu Software Center. PPA sources can be made by anyone. The app is stored in a storage called “repository”. When you add a PPA repository to your computer, it means you have added a link to the download server from which your PC will procure the app and future updates. Therefore, you will see PPAs hosted by individual developers as well as some organizations. This comes with its own risk. Not all PPAs are trustworthy. Just like not all Microsoft Windows programs are genuine, there may be some PPAs that can cause harm to your computer. Thankfully, these as well are not malware but just outdated or badly written apps. The best way to stay away from them is to avoid installing them. Before adding a PPA, take few seconds to read through the PPA page and check the last updated and activity in that page. An active developer will update the package periodically with security and bug fixes. Also, make sure that the package works for your Ubuntu version. 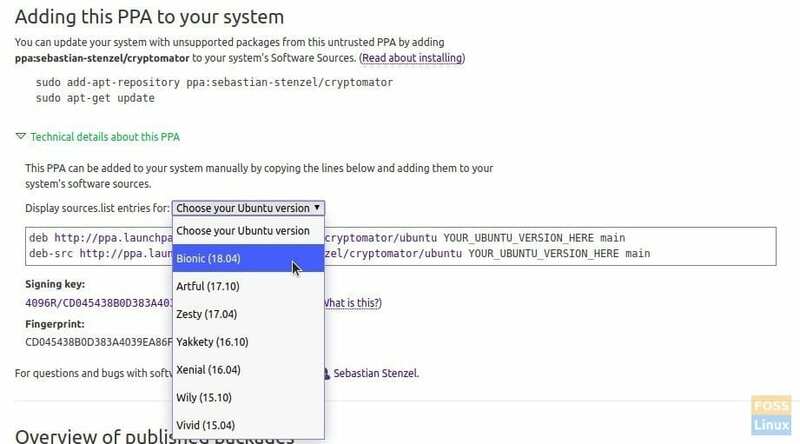 To check that you need to expand the “Technical details about this PPA” and then look for the Ubuntu version in the drop-down list. For example in the Cryptomator, you can see the compatibility from Bionic to Vivid. Where “source” is listed on the PPA page. Once the repo is added to your computer, you need to update the repo list. If you prefer a GUI way, you can do that too. Launch “Software & Updates” and go to the “Other Software” tab. You should see all the PPAs that are installed on your computer. Simply select the PPA source and click remove. Snaps are created similarly as any other app, except that a single package is compiled along with all the dependencies required for the app to function. It's a self-contained package similar to AppImage, with the latter being only a portable app. The source code is a collection of code written using a readable programming language, which is typically a plain text. It is then transformed by a compiler into binary code for making ready to install packages like .deb, rpm, etc.. Most of the popular packages are readily packaged into the easily executable deb and rpm packages, but there are also thousands of other packages that aren't compiled. Hi Kiran. Great job! Keep on working on FOSSLinux. It helps a lot.